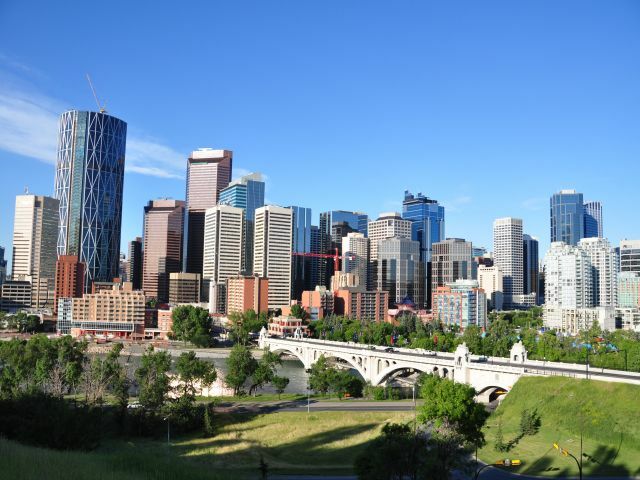 Calgary has seen a sharp rise in investment in the commercial real estate market. Altus Group reports that overall investment in commercial property jumped 69 per cent in Calgary and 35 per cent in Edmonton in the first quarter of 2017 compared to the last quarter of 2016. Calgary’s growth was driven by the office market at $481 million - 46 per cent of the total dollar volume of $1.04 billion. Industrial took 21 per cent of the market ($215 million), up 40 per cent quarter-over-quarter. Retail was down from the previous quarter by 45 per cent at $80 million, but was up 37 per cent from a year earlier. The apartment sector was worth $30 million, in line with the previous quarter but 72 per cent lower than the first quarter of 2016. “Transaction values in the Calgary market have reached the $1 billion dollar mark for the second time in two years, however the market has also approached historic lows during that same time frame. Portfolio and larger individual property transactions are an indication of confidence in the market, however they represent an overarching influence on the total numbers and mask the more tepid underlying market performance,” noted Paul Richter, Director, Data Solutions, Altus Group.